India, who had already won the five-match Women's Twenty20 International series, signed off with a blazing batting performance to script a 51-run victory in the last game. There was no let-up on the part of the Indians, who had already sealed the series 3-0 with one game washed out before the final match started in Katunayake on Tuesday, 25 September. ALL OUT! Sri Lanka Women have been bowled out for 105 in 17.4 overs. Batting first, they rode on Jemimah Rodrigues’ 31-ball 46 and Harmanpreet Kaur’s swashbuckling 63 in 38 balls to put up 156, and then had their spin trio of Deepti Sharma, Poonam Yadav and Radha Yadav shooting Sri Lanka out for 105. Sharma set the ball rolling for India when the Sri Lankans began their big chase – marginally higher than their best score in the series before this game, 155 in the first fixture. Sharma had Chamari Athapaththu, the captain, caught by Anuja Patil for a duck in the first over, and sent back Yasoda Mendis stumped by Taniya Bhatia soon after. Anushka Sanjeewani (27), Shashikala Siriwardene (22) and Oshadi Ranasinghe (22) scored their runs quickly to raise Sri Lankan hopes of a win, but none of them stuck around long enough for the Indians to worry unduly. Wickets kept falling, and though Sri Lanka were in it at 86/3 in the 14th over, by the 16th, they were 94/6 and staring down the barrel with their best batters gone. Poonam ended with 3/18, Sharma 2/18, and Radha 2/14. The remaining wickets fell to run outs. Earlier, India’s innings started poorly with Smriti Mandhana sent back by medium pacer Sripali Weerakkody for a duck in the first over. Athapaththu then dismissed Mithali Raj for 12 to leave India at 30/2 in 4.1 overs. But Rodrigues and Kaur, No.3 and 4 respectively, got together and took complete control of proceedings. Rodrigues, the 20-year-old whose sequence of scores before this game was 36, 57 and 52*, broke free first, and looked set to get a third half-century in the series before falling for a 31-ball 46, Siriwardene accounting for her after she had hit six fours and a six. Rodrigues went back in the 12th over, and though none of the other Indian batters made a contribution of note, Kaur was at her belligerent best, and did most of the scoring on her own. 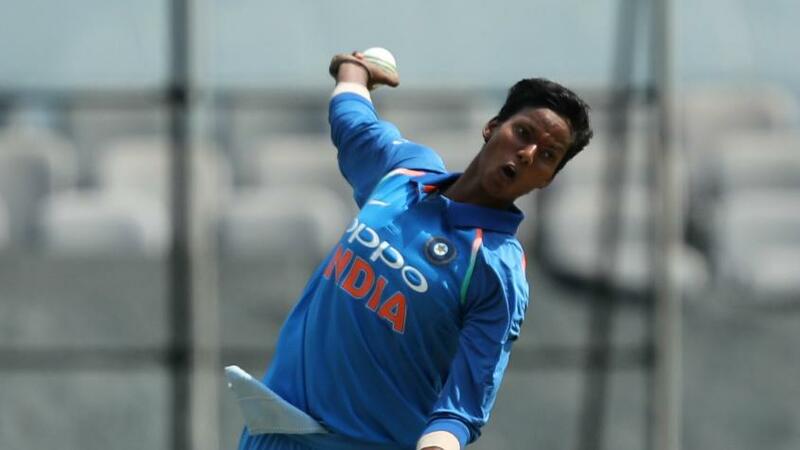 In poor touch leading up to the game – 7 and 17 in the ODIs and 0 and 24 in the two T20Is she had played on tour before this one – Kaur slammed three fours and five sixes to remind observers about her abilities. She almost single-handedly lifted India past 150 before Ranasinghe had her caught behind. India still had 15 balls left in the innings when Kaur perished, but lasted just six more, the innings folding with nine balls left. India had won the ICC Women’s Championship one-day international series 2-1 prior to the T20Is.